TheRustedChain - The Blog: YeeHaw!! 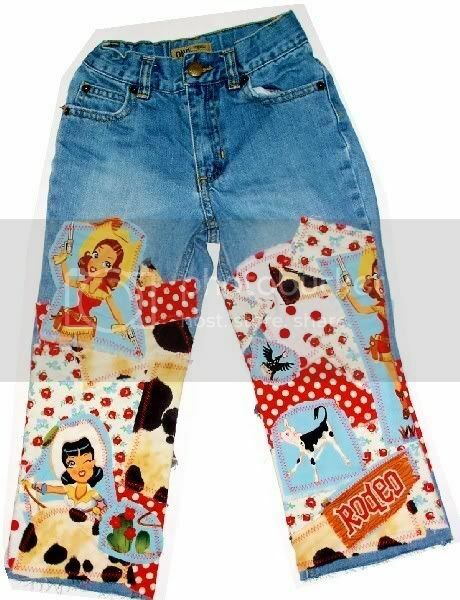 First up is these patchwork decoupage jeans from VintageLucys. I've said it before, but these prove again that style knows no age. LOVE these! 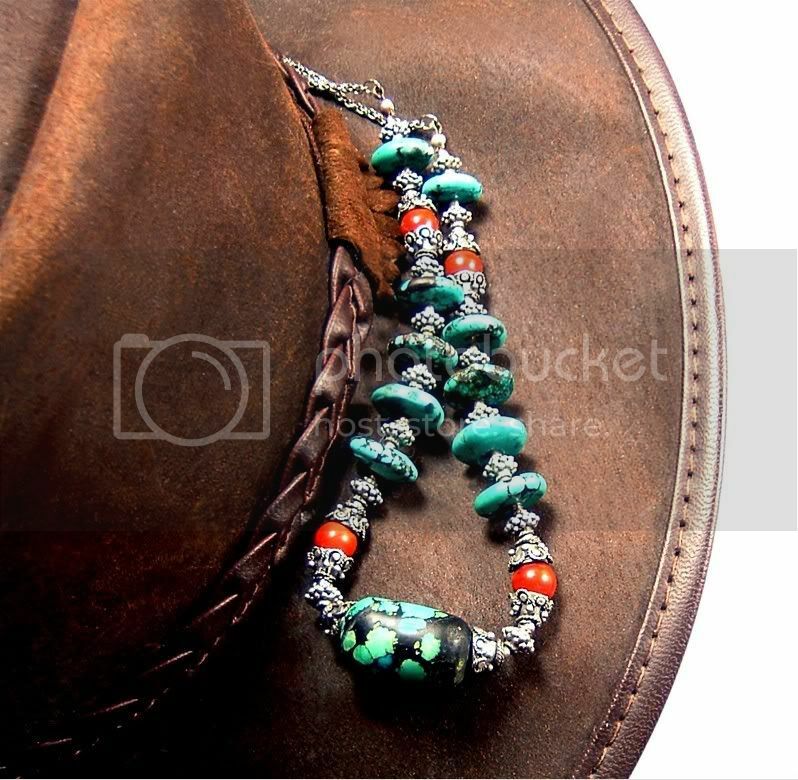 A modern Hot Mom needs (yes needs) a cowgirl piece of jewelry... This necklace by JordanBailey is the perfect one! You have to read the description here, it's too funny. My first thought with this next find was, I need a cowboy Christmas tree!! 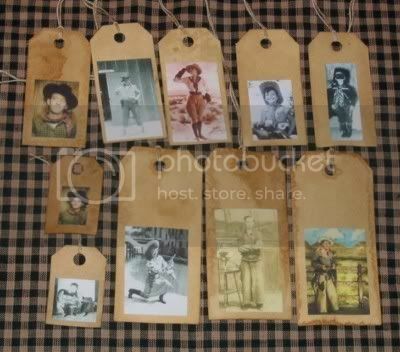 How cute would these tags by Kibbles be as ornaments? I'm sure there are at least a hundred other ways to use them too. And finally, every cowgirl needs some bling. I've been eyeing this motif by hotfixqueen for awhile now. LOVE it! 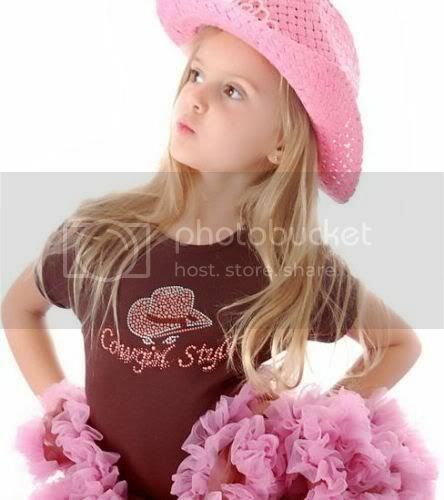 I keep telling myself that I'm not the cowgirl type, but I'm loving all these great finds. Thanks for sharing!